West Mercia’s Police and Crime Commissioner Bill Longmore has just finished consulting on “Innovative Local Policing Plans” – how the force intends to maintain effective policing in an area of swingeing budget cuts. As part of the plans, the current Ludlow police station will be closed and replaced by a base somewhere else in the town, though the details are vague. I have written to Bill Longmore saying that I believe it is essential that we keep a strong police presence in the centre of the town. I reproduce this letter below. Please let me know your views about the future of our police station using the comment box at the bottom of this page. I write in response to your consultation on Innovative Local Policing Plans. I am very concerned about the proposal to close Ludlow police station. Ludlow, as you know, as a reputation as an idyllic historic market town, snuggling into the soft landscape of The Marches. The attractiveness of the location should not however blind us to the problems the town faces with crime and antisocial behaviour, especially in the town centre. There has been some success on reducing crime in the town. Reported crime has fallen by 10% over the last two years. In 2012, there were an average of 105 incidents of crime and antisocial behaviour in Ludlow every month. This is down from 114 incidents a month in the previous year. However, it is not all good news. The overall level of crime in Ludlow is well above the average for West Mercia. Ludlow has around 118 incidents a year for every 1,000 of its residents. Across West Mercia there are about 99 crimes a year per 1,000 people, nearly a fifth lower. This alone is a reason for keeping a robust police presence in the town. Both yourself and David Shaw have stated that it is police that matter not buildings. I do not entirely agree. Buildings are important. 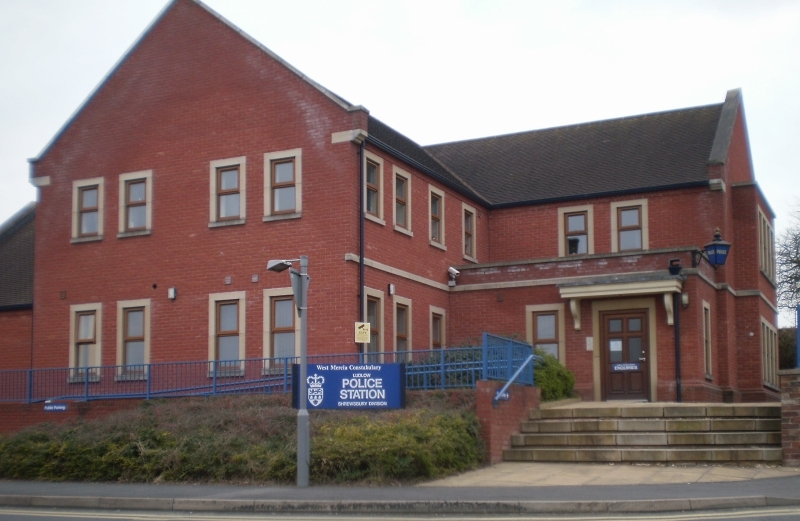 A police station offers a visible reassurance of a police presence in the town – especially as we have long given up expecting to see the police walk through the streets on a regular basis. A station offers a place to report crimes and other matters personally. Face to face contact reassures people in a way that the impersonal 101 service can never achieve. The location of the police station is very important. We need a police base close to the town centre where the majority of crime and antisocial behaviour occurs. There are often alcohol-related disturbances in Ludlow town centre, especially on Friday and Saturday nights. We need police on our doorstep that can attend these disturbances as soon as they occur. If the current building is to be shut down, a new location must be chosen with care. There are few buildings in our historic town centre that could host a police station. The constant arrival and departure of police cars could also be very disruptive for shoppers during the day and residents at night. There are few obvious buildings in the rest of the town. There is a danger that the new station will be out on the Eco Park. An out of town station will be hard for people to visit and will delay the response time to disturbances. We would be likely to see even fewer police walking through the streets. That will undermine confidence in the effectiveness of local policing. I fully understand that the West Mercia police service is facing dramatic cuts to its budget. But I would urge that you think very carefully before closing the current police station. If we are to have a new location, this should be close to the town centre. There must be full consultation with local residents before any changes are made. Next Post Are second homes good or bad for Shropshire?